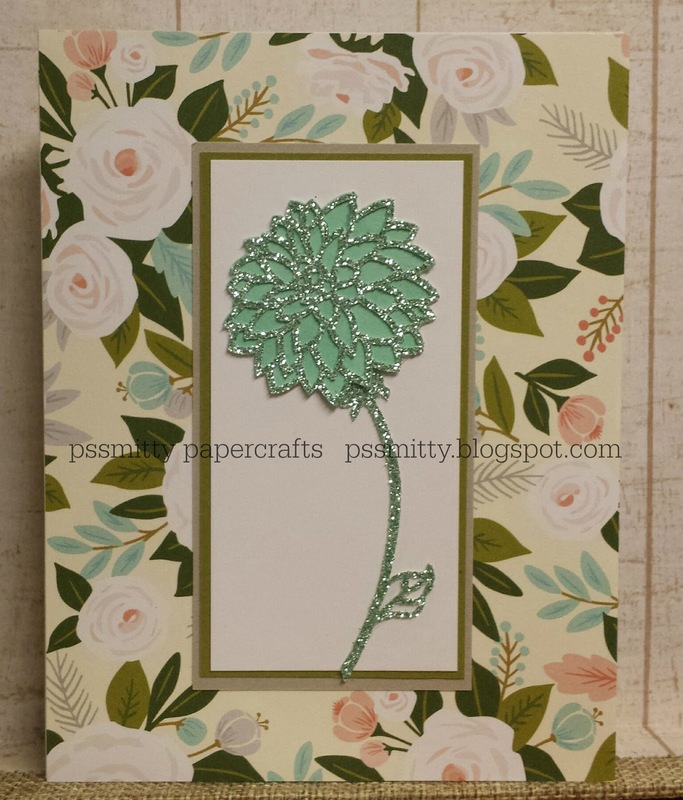 After creating a card for the Atlantic Hearts Sketch Challenge this week I decided to make another card and use the Sea Glass glitter paper for the chrysanthemum. This time I mounted my flower on White Daily CS and layered it with Whisper and Fern CS to match one of the papers in the new Hello Lovely pack that will bee available Jan 1st. OMG this card and the one in the last post are so gorgeous!! BEAUTIFUL job! !